Congratulations to "Taurus", the winner of Marie's giveaway! Thank you to all who participated. Receiving the news that I get to share my world of characters with all of you has made a huge impact on my world as an author. In writing a piece of fiction there are many side characters who fly from a reader’s memory after they leave a scene, but the world the author created is not nearly so small. Through Hunting Heartbreak my trashcan filled with rejected sketches of characters who made a great impact on my main character, Kasumi Yoshida. Their parts are small, but their pasts intertwine. I have even started to explore more into the pasts of the characters of the Mark of the Yakuza series on my blog’s featured Throwback Thursdays. 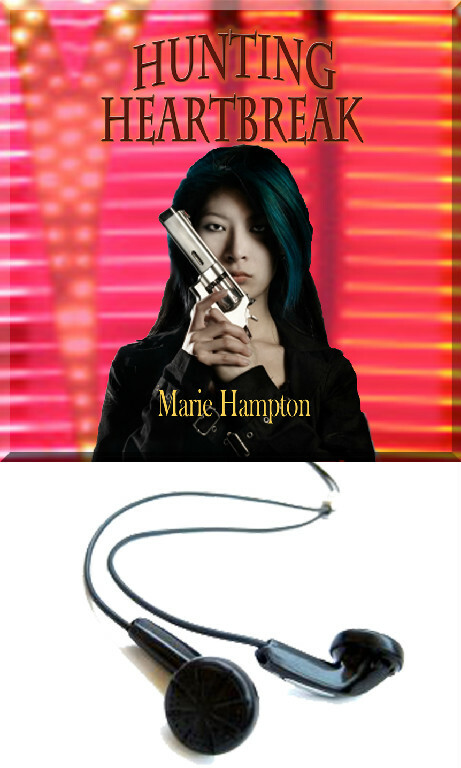 Hunting Heartbreak by Marie Hampton is the Winner of the Vanilla Heart Publishing Author Contest and is Marie’s debut novel, the first in a series featuring Kasumi, a female assassin involved in the Las Vegas Yakuza. 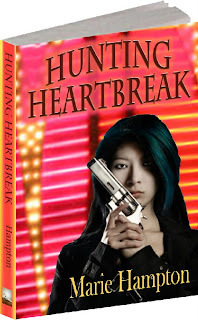 Hunting Heartbreak tells the suspenseful tale of Kasumi, a young woman deeply involved in the Las Vegas Yakuza, as she runs headlong into danger, both to her profession as an assassin...and to her heart. Lust flared inside her, heating her more than her anger. Kas tried to push him away, but just placing her hands on his chest sent an electric jolt through her. Instead, Kas kicked him in the shin and shoved him again. The two struggled, but Kas slipped under his arm. They both stood glaring at each other, breathing deeply. Ryan pushed his hair back out of his eyes. “Then we need to work on these.” He held up the file Akira had given him. “We’re not going to my apartment.” Kas still felt her one safe place had been violated. Ryan smiled at her insult. “You mean ‘egotistical’.” He moved in close. Close enough Kas could kiss him if she moved a half an inch. “You’re not as great as you think you are.” The cold steel handle of the door to the eighth floor pressed against the back of her hand. Why couldn’t she just turn and leave? Marie will be giving away a *signed copy of HUNTING HEARTBREAK to one lucky person leaving a comment or email entry. Vanilla Heart Publishing is excited to announce Hunting Heartbreak Audio Edition now has Whispersync for voice! Giveaway ends 11:59pm EST Aug. 12th. Please supply your email in the post. You may use spaces or full text for security. (ex. jsmith at gmail dot com) If you do not wish to supply your email, or have trouble posting, please email maureen@JustRomanticSuspense.com with a subject title of JRS GIVEAWAY to be entered in the current giveaway. *Print copies are eligible for US residents only. If a winner is selected outside the US, they will receive a digital copy. One never knows when one of those minor characters will "contact you" and demand an entire novel for himself/herself. I can see Kelly Hsu playing Kas if Hunting Heartbreak ever gets made into a movie. There is chemistry between Kas and Ryan from the short excerpt. I can't wait to read this book. I know next to nothing about the Yakuza - willing to read and learn more. What a fabulous idea for a series. Congrats on the new release! Sounds exciting ;) Thanks for sharing!